There are so many types of villains in the movies- mobsters, monsters, scoundrels, crooks, creeps, vixens, killers… and they come in all persuasions of evil, smarmy, spooky and scary. 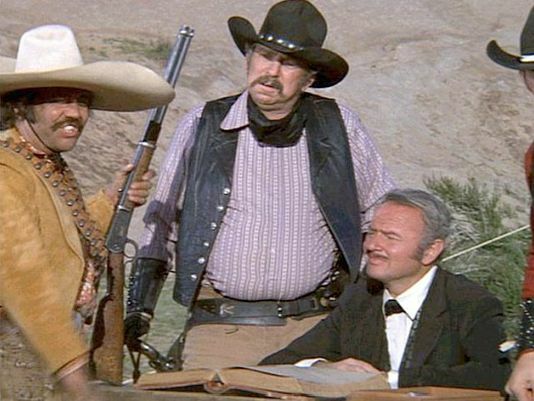 The variety of ‘bad guys’ reminds me of the scene in Mel Brooks’ BLAZING SADDLES (1974) when Harvey Korman as Hedy (err, that’s Hedley) Lamarr rounds up every nasty ne’er-do-well in the wild west. Check out this clip of: “Boy Is He Strict” Video. This bandit needs no stinkin’ badges. Along with Slim Pickins and Harvey Korman, we see villainry via the western parody. A truly outstanding villain is pure cinema gold. Audiences root for the courageous and upstanding hero or heroine to save the day and we crave happy endings. But we clamor for a hard-fought battle of good vs. evil along the way. Let’s face it, the good-doer protagonist earns no glory without a truly heinous antagonist in equal measure of nasty. When I think of all the memorable villains in film, I’m mesmorized by the charming ones. There’s something fascinating about the hustle of a highly social persona who draws in his/her victims. There’s no need for lurking in dark shadows or ill manners when they lust the dance of enticement, right in the bright spotlight. 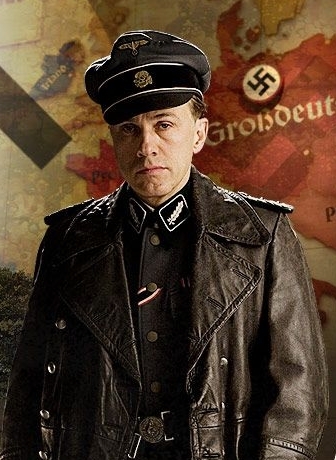 Christoph Waltz as Colonel Hans Landa in Quentin Tarantino’s INGLOURIOUS BASTERDS (2009) is a perfect example of this particular hybrid of the charming psychopath of the silver screen. The story takes place in a parallel universe of nazi-occupied France during World War II where a small troop of Americans, nicknamed the ‘Basterds’, seek to fulfill a heavy thirst of redemption against ‘nazi Jew hunters’ with a bloody vengeance. The year is 1941. We are introduced to their unique nicknames and fighting styles- like “the Bear Jew” who prefers bashing SS skulls with a baseball bat, or their other trademark of scalping nazis upon capture. When it comes to a universally known symbol of villainy, you can’t get much more iconically evil than the nazis. Tarantino is known for a flair for violence in his filmmaking. INGLOURIOUS BASTERDS is no exception to this reputation and we see violence coming from both sides. This renegade band of soldiers’ gruesome approach to justice is an unorthodox secret weapon. Yet as vile as their violence may be, I can’t help but taste some sour but sweet satisfaction as the Basterds serve up their revenge on the nazis. While there are many scenes depicting the plotting schemes of the Basterds to counteract the Third Reich’s occupation in France (including a grand plan to take down an entire movie house filled with members of the SS and Hitler himself), some of the most eery and disturbing moments come from Waltz’ portrayal as Landa. In this opening scene, we feel the extreme tension build when a dairy farmer and his family receives a visit from the nazis. Here we get an intimate introduction to the Landa method of the social predator. He starts in by following a strict adherence to formality of cordial manners. He initially speaks in their language (French) not his own (German), then later asks his permission to continue the rest of the discussion in English. He smiles warmly. He’s not just polite, he’s highly complimentary. He’s enjoying himself as he closely examines the farmer and his family, expectant that they should respond in kind like a neighbor dropping in. After this facade of politeness and respect, he firmly controls the conversation and the tone by painstakingly taking his time through every single step of an interrogation. The audience feels the mounting tension in pace with the farmer, Monsieur Perrier LaPadite (Denis Menochet). Landa continues his upper-hand by letting it be known to the cautious farmer that there’s absolutely nothing that he can hide from him- in ecsquisite detail as he lights his pipe. Cooly and calmly confident, Landa has complete control. He’s snared his victim into a corner. Swiftly, the Jewish family trapped under the floor boards is gunned down in a shower of bullets. One of the hunted has escaped through the crawlspace, Shosanna (Melanie Laurent) is covered in mud as she runs for her very life across the open field in a John Ford-esque door frame shot. Landa has a clear shot within range, but he chooses to wait; holding his gaze upon her with his pointed gun without squeezing the trigger. He wants this moment to linger, then he calls out to her just to let her know he chose to savor in her horror. She flees but does she ever fully escape from his haunting threat? See a snippit of the scene here and note how the music adds to the emotional horror, as the strings reflect to the chaos and building tension. Like a cat that toys with the mouse, Landa loves the game. It’s not enough for him to catch and kill his victims, he desires to tease and play with the victims’ fears. It whets his appetite by manipulating them into their false sense of security by exhibiting his prowness for charm and social manners. He then turns the table as he eliminates any hope for his victim. But not before he takes little pauses to express child-like joy in watching them squirm. He literally cooes and squeals at times. In this scene, Shosanna finds herself in another horrific predicament. She’s now operating a local movie theater when a popular German actor/nazi officer has taken a shine to her. He insists that she tag along with him when he joins several SS officers at a local cafe, including Hans Landa. Reunited with her demon tormentor, the tension is nearly unbearable as she finds herself facing the exact same nazi that ruthlessly killed her family. Yet again, he brings on the charm; showing off his intelligence, culture and appreciation for the ‘finer things’ via his joy for a special dessert. While he regales in his delectable desire for cream topping, she is barely holding it together. Of course she recognizes him instantly and hopes he doesn’t recognize her. The horrors of their last encounter is washing over her in contrast to each of his probing questions masked as superficial chit-chat. This excrutiating verbal dance can be seen in this Video clip. In yet another tense scene, the German actress/double agent Bridget Von Hammersmark (Diane Kruger) who is working with the ‘Basterds’ attends the premiere film screening for the grand plan of nazi destruction. She introduces Hans Landa to three of the ‘Basterds’ who are working undercover, as Italian filmmakers- Lt. Aldo Raine (Brad Pitt) as a stuntman, and the other two, Sgt. Donny (Eli Roth) and PFC Omar (Omar Doom) as camera men. Playing with his food like a killer whale with a baby seal, Landa tosses them about and watches them squirm and flail in their awkward attempts to deceive him. For any of you who have yet to have seen this film, I chose to only highlight a few scenes as opposed to a detailed synopsis of the full film, in order to focus on this unforgettable villain. But don’t worry, this nazi may have mastered serial killer charm, he also receives his own branding of justice and come-uppance in the end. Christoph Waltz was relatively unknown to American audiences yet a seasoned actor of the stage before landing this part. It was this talented portrayal of Hans Landa that quickly turned him into an ‘overnight sensation’. He followed by working additional great roles, including partnering again with Tarantino as an atypical hero in DJANGO UNCHAINED (2012). He continues to be a fan favorite at the box office and has become a household name. This was my contribution to THE VILLAIN BLOGATHON hosted by the lovely ladies at Speakeasy, Shadows & Satin, and Silver Screenings. Explore each of their blogs for complete listings of each day’s recaps (April 13-17) with fascinating contributors. Enjoy! Simply a wonderful villain that we could cheer and hiss for in equal measure. Great one to spotlight, Kellee! Thanks so much, Michael!! I adore the charming villains! He is a great villain, especially because Christoph Waltz makes him so! If Mr. Waltz isn’t playing Blofeld in SPECTRE (and he denies that he is), I will really be disappointed. He is so good at playing villains. I hear ya. I REALLY want him to be a Bond villain, too, Terry! He would be PERFECT! Loved your pick, Kellee — Christoph Waltz is just all right with me! I’ve only seen this movie once, but his character was totally a standout. You have officially made me want to watch this one again! 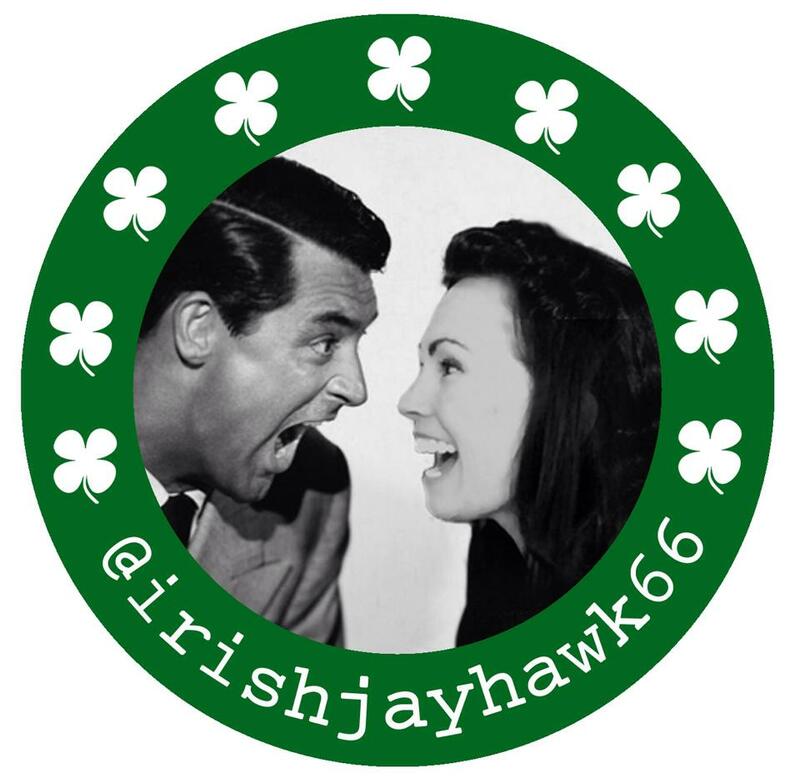 Thanks so much for contributing this great post to the blogathon! I’m so glad, Karen! To me, he’s such a talented actor that his performances, like this role, are outstanding. He could’ve easily fit in nicely in the classic era along with our favorites, I think anyway. Thanks for being an awesome host! Great pick, prime example of a compelling villain making the movie, Waltz is such a good actor he can make the charm work and be scary too. Many thanks for joining us Kellee! Thanks for hosting this awesome blogathon, Kristina- so many options! Waltz truly made this a memorable character indeed. And now for more reading of fab posts! LOVE this actor and this movie! Terrific choice, Kellee and great write-up!! Whew – I’m SO glad the villain got his comeuppance in the end. I’ve not seen this film and, as I was reading your post, I was starting to get a little anxious about how this film was going to end. The charming villains really are the best, aren’t they? However, I still like it when justice is served in the end. Thanks so much for joining the blogathon with this dastardly WWII villain. Eeeee I’ve been waiting for this since I saw you’d claim him!! Such a great (utterly hate-able) character and performance—the opening with Landa and the farmer is one of my favorite movie scenes in recent memory. Awesome work highlighting this truly terrifying villain! Hi Kellee! 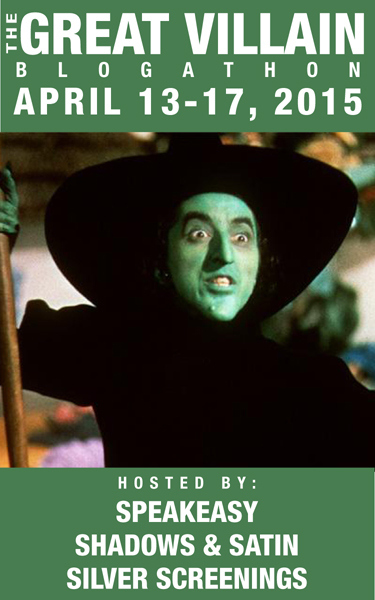 I’m making my way through the abundance of essays on villains in this pretty popular blogathon. 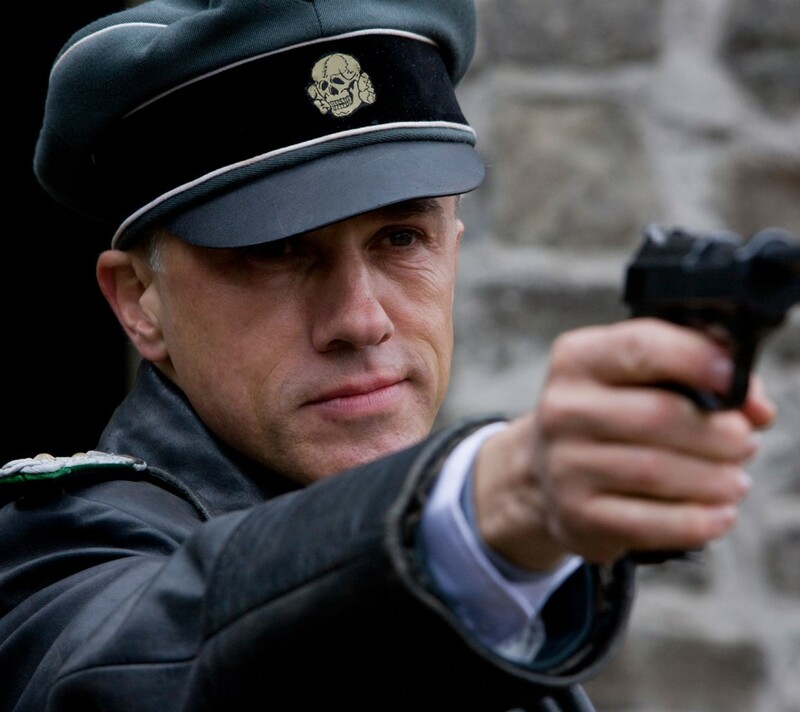 I really enjoyed your write-up and how you highlight Christoph Waltz’s villainy. ( I don’t even know if I can bear/dare to revisit the clips!!! ) You wrote a great description of the glee Landa feels and expresses in toying with his victims like a cat with a mouse, or better yet, a lion with its prey ( let me feed into Landa’s delusions of grandeur. ) I only saw the movie once, when it was released and kind of can’t bear to watch it again. It is excruciating the psychological torture Landa inflicts. But seeing him get his comeuppance ( which I actually DON’T remember ) might be worth me going through this all again. Tarantino gets pooh-poohed by the haters, but I think he’s an excellent filmmaker because he’s a student of film. He knows what makes a hero heroic is a good villain, and what makes a story epic is a brilliant villain; a worthy opponent. Yeah…I was charmed by Waltz ( in this AND “Django Unchained” ). In fact, the last time I struggled like this with a Nazi was Ralph Fiennes in “Schindler’s List.” He was sooo drop dead gorgeous, ( did I mention I was shallow? ) and his struggle against really liking one of his prisoners ( the luminous Embeth Davidtz – why isn’t she better known ) was really something to see. Christoph Waltz, he always walks the razor’s edge…and makes me walk it as well. Gooood essay, Kellee!! I never saw this film, but your great review made me curious! I really liked Christoph Waltz in Django Unchained! Thanks!